Brisbane Tree Removal | The Best Tree Removal Services in Brisbane. Full insurance with work guarantee. Do you need some help getting your trees in line? Are they looking a little messy, or perhaps a little scraggly? Do you just need a little help getting your trees neatened up? Or do you need one removed completely? At Brisbane Tree Removal Services, our aim is to help you get the kind of results you want from your trees. As expert arborists, we know how to help you keep maintenance to a minimum while still creating that wow factor in your garden. We are a full-service tree removal company. 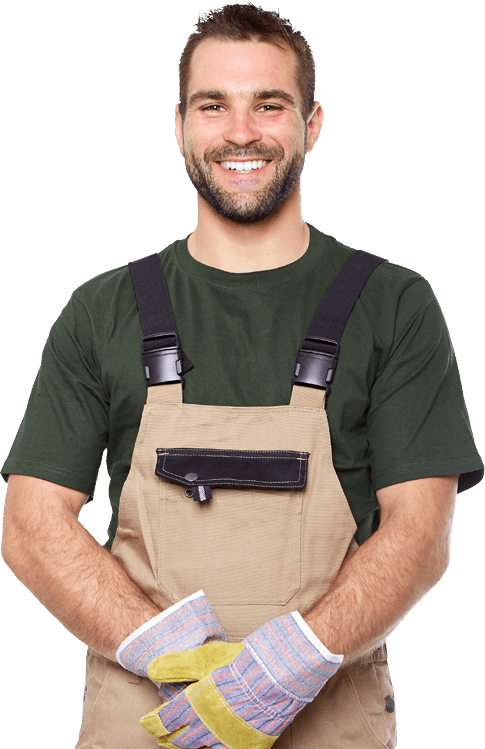 We offer everything from Brisbane tree removal to professional arborist’s reports. We also offer the best Brisbane tree lopper service. In this post, we will tell you about the full range of services that we offer. Keeping smaller shrubs tidy involves a fair amount of work, right? Some of those branches are tough and difficult to cut through. Now imagine doing the same thing, only high up in the air, balancing on a ladder and trying to keep a chainsaw steady. When you put it like that, it is easy to see why these jobs should be left to tree removal professionals. Why risk your own neck when we are more than willing to risk ours for you? Don’t forget; we have all the tools that make this back-breaking task so much simpler. Our motto is safety first, so our guys are kitted out in all the correct safety gear. They have the right tools for the job – digging out a stump using a spade makes no sense when an excavator can have it out in a fraction of the time. Finally, we know what we are doing. We’ve been through the learning curve already. As professional arborists, we know how to diagnose illness, ensure your trees thrive and make them neat, tidy and healthy at the same time. 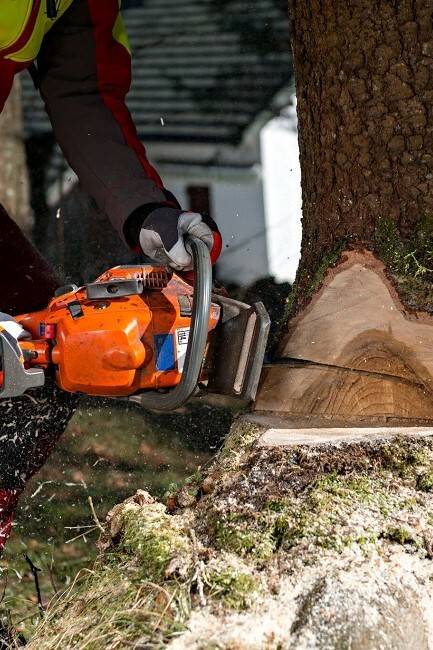 So, why not call us for a tree removal quote? When we’re at the house doing the job, why not pull up a chair and an ice-cold beer and watch what we’re doing. You can tell your mates how you got it all done by expertly supervising – we won’t tell them if you don’t – without having to worry about getting your hands dirty. You get the kudos; we keep the backache. It’s a win-win. Fixed pricing for all jobs, we don’t charge by the hour. Our work is backed by over 20 years of experience. We have helped some of Brisbane’s largest businesses manage their gardens. 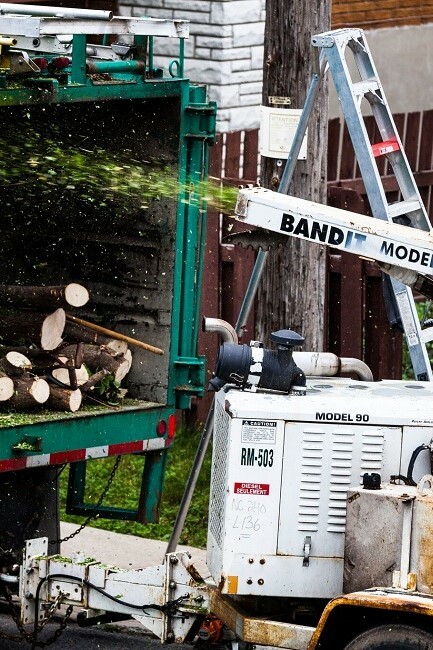 If a tree is dead, dying, or posing a significant safety hazard, we are going to advise you to have it removed. A dead tree might look pretty stable, but this is an illusion and a dangerous one at that. Initially, the roots will hold it securely in place. As the roots wither and die, though, the tree is more likely to be too top-heavy and so fall over. It will crush whatever is in its path if that happens. A dying or very sick tree has less risk of falling over but is still very dangerous. Its branches will be very heavy, and because it is not at full strength, they may prove to be too heavy. They too can come crashing down at any time and cause extensive damage or injuries. This becomes a particular problem during storm season. Imagine having to explain to the insurance assessor why the dead tree in the yard wasn’t taken down before it crushed the roof. You might even land up having your insurance claim rejected. Don’t take the chance – let us come in and make sure that everything is safe again. If you have a monster of a tree taking over, but don’t want to have it removed, tree lopping could be a solution to reduce the size overall. It is a service that we offer because sometimes people need their trees to be a little narrower. 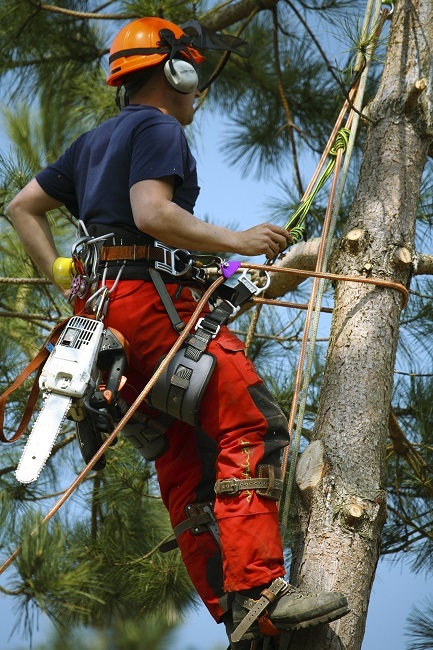 It is a procedure that arborists prefer not to tackle and will be the last resort. We do, however, ensure that it is done as safely as possible and creating as little damage as possible. The idea is to create a tree with a smaller footprint overall – now and in future. It could be useful, for example, when the branches are interfering with power cables, or where space in a garden is severely limited. 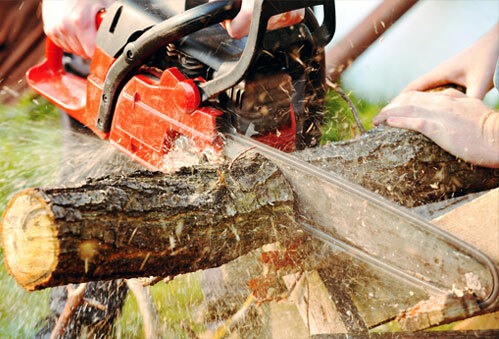 Pruning or tree cutting in Brisbane is extremely important for the overall health of the plant. The dead wood is essentially just dead weight. And, though it is mostly dead, you will usually find a small centre of phloem tissue. This means that valuable resources are being transported into a part of the plant that has no capacity for real growth. These resources are thus being wasted. Pruning these dead bits off allows the plant to conserve resources and put them to use where they are really needed – in growing new tissue. By doing this, you are left with a plant that is healthier, and that is able to give a far more impressive display the following year. This is done before the growing season starts and when resources are scarcer. There is more to pruning than just conserving resources, though. The older wood is more prone to disease and damage. Chopping off a branch that is in the process of dying means that you can control how and where it comes down. So, instead of it falling on your kids while they are playing in the garden, it comes down in a controlled motion. Pruning can also involve the thinning out of the crown. This helps the lower branches to receive more air and sunlight and ensures that the tree is healthier in general. There is no job too big ot small. 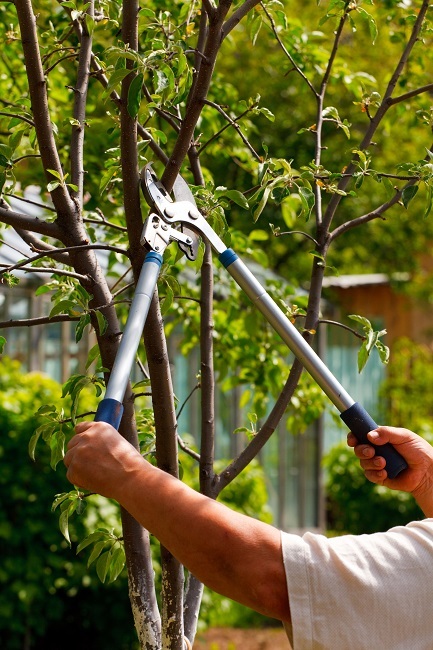 If you just want to service your trees we can do general pruning, trimming and cutting. Get in contact with us before it gets out of hand! "John and his team are friendly and always on time. It's the second job they have now done for me and I'm always pleased with the results"
"I had a large palm tree that needed to be removed as quickly as possible. John and his team gave us a reasonable quote and within 3 days the tree was completely removed, the stump and all"
Want a quick and easy quote? Brisbane Tree Removal is your local one-stop provider for all tree solutions. Our chippies are on hand and ready to remove your trees any day of the week. Copyrights 2018 Brisbane Tree Removal. All rights reserved.